Try these healthy soup recipes to warm you up to the bone. 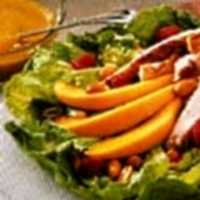 Pair them with one of the salad recipes also on this page. You can select from a hearty chili to a summertime salad. Or perhaps a creamy soup paired with the tuna tossed salad is more to your liking. You can use these to compliment your main dish or add a dinner roll or sandwich to a soup and/or salad and make a complete meal. No matter what time of year these recipes will go great with what you have planned for lunch or dinner. Below you will find the salad recipes on this website. 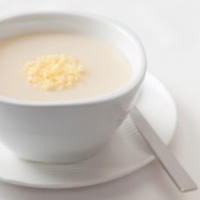 If you are looking for the healthy soup recipes, scroll down the page for the next section. 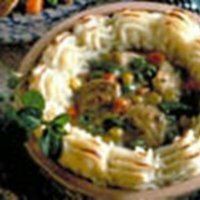 All recipes on this website come complete with list of ingredients, step by step directions, key nutrition information and Weight Watchers Points. The points include Freestyle SmartPoints, Non-FreeStyle SmartPoints, Points Plus and the original points method. 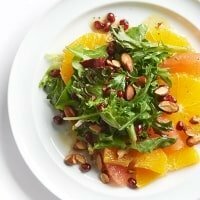 This salad recipe does not need any dressing as the ingredients are marinated in a citrus mixture to give it lots of zing and flavor. This recipe uses juicy papaya, sweet raspberries and crunchy peanuts to compliment the Caribbean baked chicken topped onto a bed of lettuce. 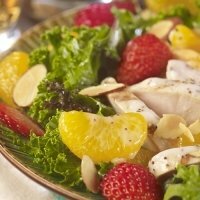 When fresh fruits are in season then it's time for this Chicken Summertime Salad. With so much flavor you may want to skip the dressing. The layers of healthy goodness seems to never end in this salad recipe. 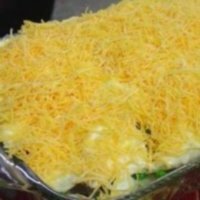 This is the perfect dish for your next picnic. 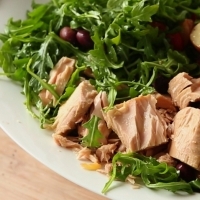 This healthy salad recipe is paired with a zesty lemon French dressing. Add one of the healthy soup recipes and make it a light meal. Salads don't always have to be about the greens. 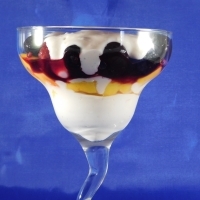 Instead make it colorful with all the layers of these fruits in this recipe. 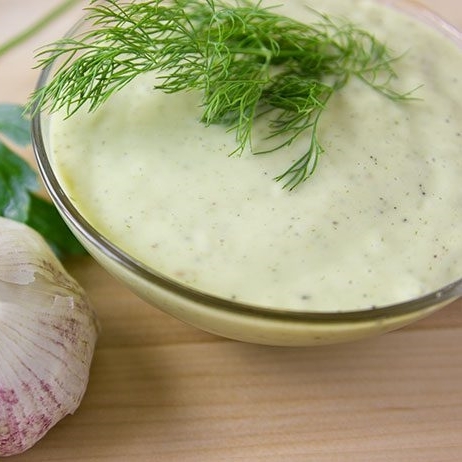 If you are looking for a low calorie, low point salad dressing to go with these healthy salads, then try making this creamy garlic dressing. Made with non-fat plain yogurt (a WW Freestyle zero point food), low fat milk, a touch of lemon juice and various spices, this not only tastes great, but has only 1 FreeStyle SmartPoint and only 71 calories per serving. 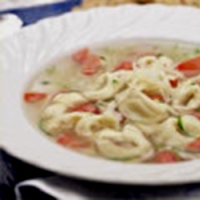 The cheese tortellini is the star of this soup. Combined with many different vegetables, this hot and steamy dish will have your taste buds dancing. 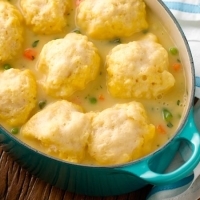 This dumpling dish is a great way to use up your Thanksgiving turkey leftovers. But no need to wait for the holidays, give it a try now. 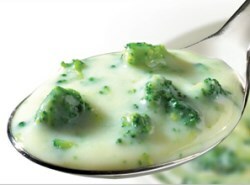 This creamy soup will warm you up with it's delightful taste. With only 2 FreeStyle SmartPoints, you may want a second bowl. 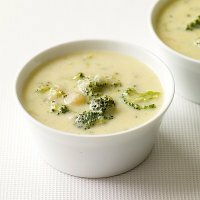 This creamy soup is cooked slow in a crock pot giving it lots of time to blend all the flavors. So prepare it in the morning and it will be ready when your day is done. The flavors blended into this healthy soup recipe will have you all fired up. Pair it with a salad for a light lunch. The stars of this hearty chili are lentils and chickpeas. 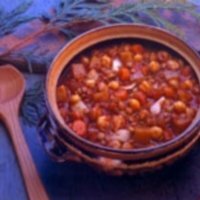 This Northwest Chili is great for when the weather outside is cold. Look for more great pairs for you soups using these appetizer recipes. You can get the taste of Italy, Mexico and more with these ideas. Before you sit down to eat your "healthy" salad, make sure it is still healthy. Find out when a salad becomes an unhealthy choice. Try this baked galazed Mahi Mahi recipe for your dinner tonight.